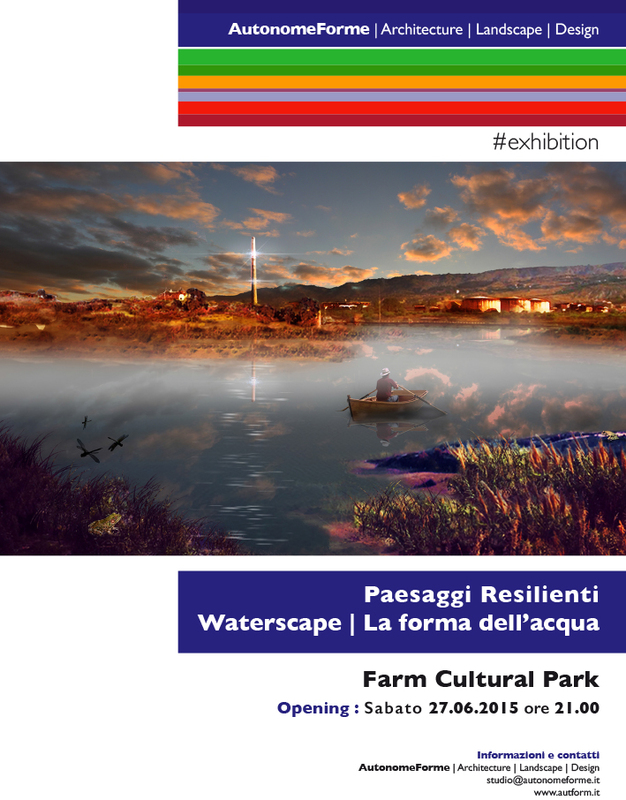 On 27 june 2015, during the party of the fifth birthday of the art gallery Farm Cultural Park, will be open the anticipation of the exhibition of the projects of AutonomeForme Paesaggi Resilienti | WaterScape | La forma dell’acqua (Resilient Landscapes | Waterscape | The water’s shape).The exhibition will start at 21.00 in the spaces of the Sette Cortili / Farm Cultural Park / Favara.The exhibition Paesaggi Resilienti | WaterScape | La forma dell’acqua is an overview on the work of research and project that the architectural office AutonomeForme is leading since 1998 about the ZTA (Temporarily Abandon Zone) and the Resilient Landscapes. Starting from 1998 AutonomeForme has elaborated several projects for the redevelopment of waterfronts and brownfields in differents cities of the Mediterranean. In this exhibition will be present the projects developed for Palermo, Catania, Messina, Napoli and Venezia.